When the tail of the comet Bhaktul flicks through the Earth's atmosphere, deadly particles are left in its wake. Suddenly, mankind is confronted with a virus that devastates the adult population. Only those under the age of eighteen seem to be immune. Desperate to save humanity, a renowned scientist proposes a bold plan: to create a ship that will carry a crew of 251 teenagers to a home in a distant solar system. Two years later, the Galahad and its crew—none over the age of sixteen—is launched. DOM TESTA, of Denver, Colorado, has been a radio show host since 1977, and currently is a co-host of the popular "Dom and Jane Show" on Mix 100 in Denver. A strong advocate of literacy programs for children, he regularly visits Colorado schools. Dom began the Big Brain Club to encourage students to overcome the peer pressure that often prevents them from achieving their true potential. 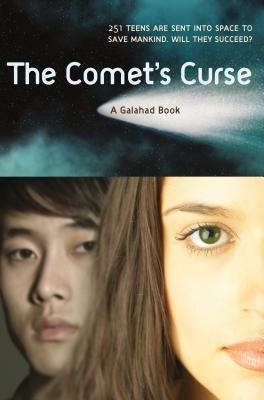 He is the author of the Galahad series of young adult novels, beginning with The Comet's Curse.